The first Duel Decks of the year are in an interesting spot, as they are our last look at Magic‘s previous block, specifically looking through the lens of two of its Planeswalkers. 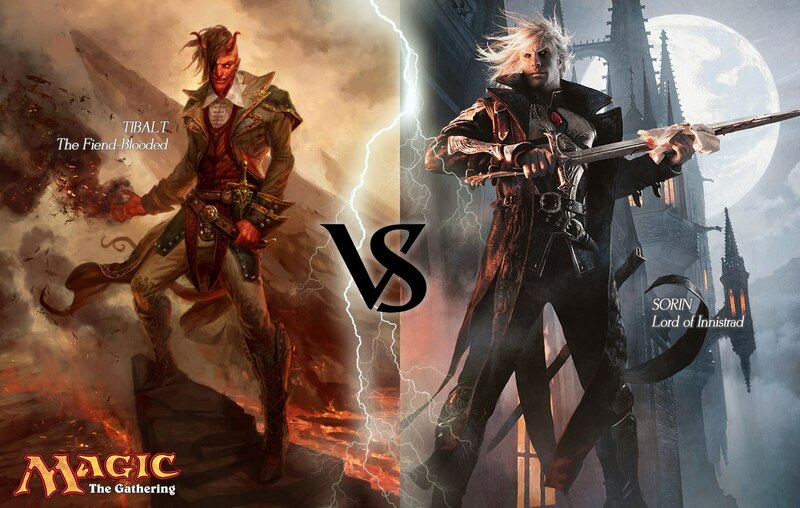 So, with Duel Decks: Sorin vs. Tibalt, we’re reminded of two characters. The first, the powerful vampire Planeswalker who helped fight the Eldrazi on Zendikar and returned to his home plane ofInnistrad to discover that the balance he strove for had been shattered and the humans were quickly becoming overrun by the forces of evil. One of those forces of evil, although not a key player in Innistrad‘s troubles, was Tibalt. Tibalt is, to me, evil incarnate. He’s a pain-mage only interested in hurting others—exceeding even his desire to kill them.